12-15-17 Traverse City, MI: The Marquette Reddettes travel to Traverse City for a weekend series in the Traverse City Invitational Tournament that you can catch on Fox Sports Marquette. It has been a successful season thus far as the girls have started out with a perfect 4-0 record. Their first task of the weekend started with a physical contest against the hosting Traverse City Central Trojans. The Trojans enter this matchup winless on the year. 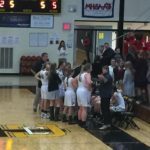 Coach Ben Smith said before tipoff that he felt one of the ways his girls can pull off a victory is to stay out of foul trouble, something that his team has done a good job of this season. 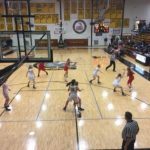 The Redettes committed 8 fouls to the Trojans 7 in an affair that started out riddled with whistles. 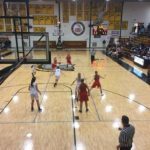 Neither team was able to find any offensive rhythm with the two teams locked in a 1 point 18-17 Marquette lead heading into halftime, Sydney Kivi led the Reddettes with 6 first half points. 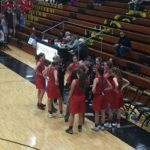 The second half played much differently for the Reddettes than the first as Marquette handily ran away with the game, eventually winning with a final score of 48-27. 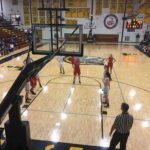 Traverse City Central was stifled by stout defense from Marquette and were never able to consistently penetrate through the Reddette defense, only managing 10 second half points. Syndey Kivi came out with player of the game honors with 11 total points and was the vocal leader of Marquette’s defensive unit. 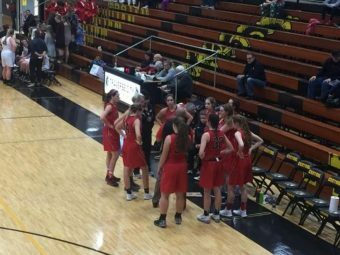 The Marquette Reddettes are back in action tomorrow December 16th as they face off against Traverse City in the final round of the Traverse City Invitational Tournament. 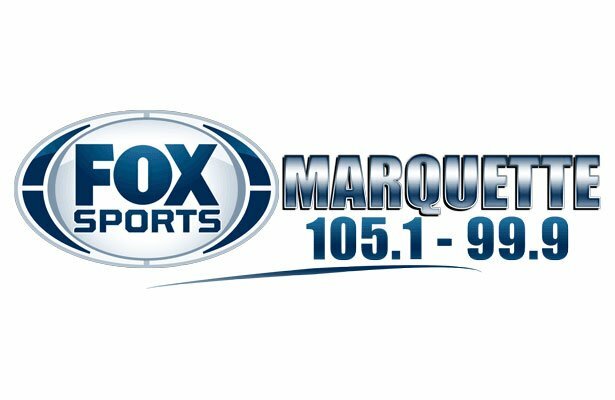 You can catch the action live on 105.1 and 99.9 or streaming at the Fox Sports Marquette website. 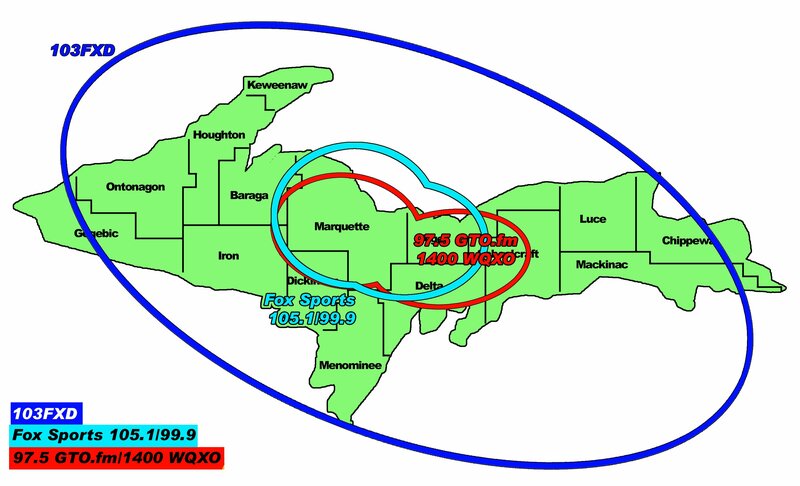 Listen to the audio from the Redettes’ game as well as the Redmen game here.